Recieve a Nespresso coffee machine for just €1! Take the opportunity to subscribe to the world of Nespresso! 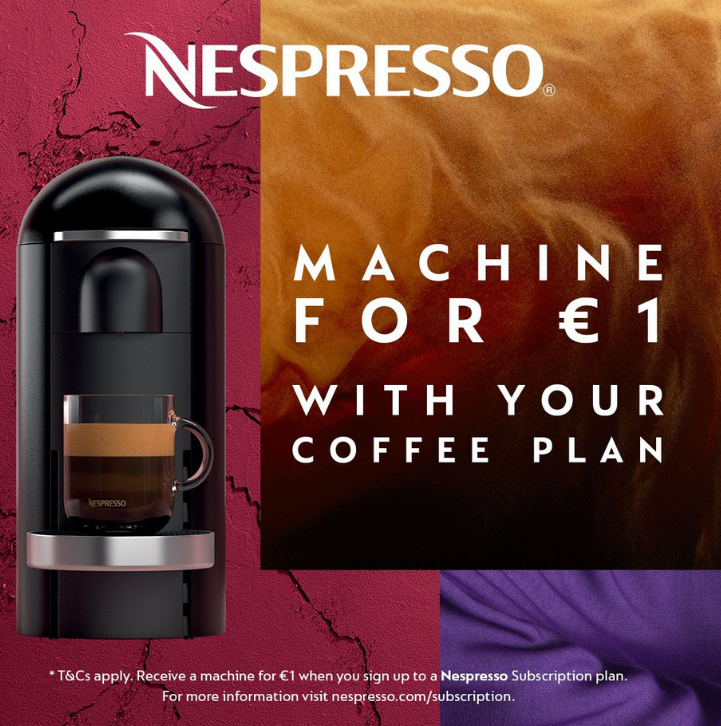 Choose your Nespresso machine for only €1,with the purchase of your favourite Nespresso coffees. To find out more, head into Nespresso, Liffey Valley or visit nespresso.com/subscription.